For the fourth consecutive year, UCF maintained its No. 1 ranking for supplying graduates to the U.S. aerospace and defense industries. Aviation Week again recently named UCF the No. 1 supplier of graduates to the U.S. aerospace and defense industries – for the fourth consecutive year. More than 4,000 students are currently enrolled in the university’s Department of Mechanical and Aerospace Engineering programs. There were 111 students who graduated last year with bachelor’s and master’s degrees in aerospace engineering, and more than 120 are expected to graduate this year. More than 550 students have graduated with an aerospace engineering degree during the past five years. “UCF’s ranking as the top producer of talent for the aerospace and defense industries showcases, one more time, the sustained partnership that UCF has established with the aerospace and defense industry to educate the next generation of engineers and computer scientists that this industry needs to perpetuate its continued dominance,” says Michael Georgiopoulos, dean of the College of Engineering and Computer Science. Rounding out the Top 5 universities that have provided the most graduates to the industries are: University of Florida, University of Arizona, Pennsylvania State University and University of Washington. 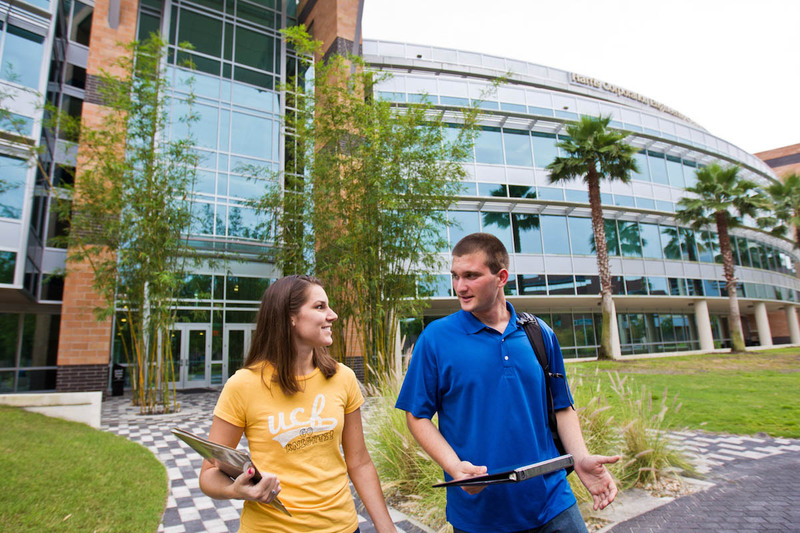 Yoav Peles, department chair, says UCF’s graduates are working at some of the top engineering sites in the nation, such as Lockheed Martin, Siemens and the Kennedy Space Center. “As one of the fastest-growing cities in the United States, Orlando is the epicenter of rapid economic growth as more engineering companies begin calling it their home,” he says, including other companies such as Boeing, Pratt & Whitney, Mitsubishi, Harris and Disney. UCF’s newest engineering program, a doctorate in aerospace engineering, was recently approved and is accepting applications for the Fall 2019 semester. The department also offers a doctorate in mechanical engineering, and master’s degrees in aerospace engineering, biomedical engineering and mechanical engineering. Aviation Week collaborated with the Aerospace Industries Association, American Institute of Aeronautics and Astronautics, and PwC on the annual study. UCF also has earned a Carnegie Classification of Highest Research Activity, and ranks among the nation’s Top 25 U.S. public universities for the number of patents secured by the National Academy of Inventors.